As a brown guy, I can't say that I'm particularly excited about the sudden appearance of swastikas. On the other hand, attributing Donald Trump's victory to racism is ludicrous. Several of my brown family members (myself excluded) eagerly voted for Trump. Similarly, many predominantly white working-class and/or rural counties that voted for Trump actually voted for Barack Obama in 2008 and 2012. Not far from Rochester, Seneca County, Cayuga County, Oswego County, Madison County, Cortland County, Broome County, and Ostego County all voted for Obama in 2012. In 2016, all seven counties voted for Trump. Did the residents of these counties suddenly become racist? Highly doubtful. To divide America into rural and urban America may be equally simplistic. As above, many regional rural counties gladly voted for Obama in 2012. Furthermore, America's most densely populated state, New Jersey, saw nine of its twenty-one counties vote for Trump. Laura Ingraham. The conservative radio show host is a graduate of Dartmouth College. Interestingly, she hails from Connecticut, which is generally a dark blue state. Ted Cruz. The ultraconservative senator from Texas is a graduate of Princeton University and Harvard Law School. Clarence Thomas. The conservative Supreme Court justice is a graduate of Yale Law School. He also happens to be African-American. Ann Coulter. The conservative political commentator is a graduate of nearby Cornell University. Neither Ithaca nor Coulter's native New York City are known for conservatism. America is complicated, and simple answers do not exist. As Rochesterians, we are perfectly situated to have this realization. As history has shown, we will rise to the challenge. Mercifully, the current election cycle is coming to a close (hopefully). Through the pain and the chaos, the only safe conclusion is that the world is complicated. And in an odd way, Americans must be drawn to this complexity. Bringing it back to Rochester (as this blog always does), complexity is one of our surprising, yet defining features. Despite being one-tenth the size of the Chicago metropolitan area and one-twentieth the size of the New York City metropolitan area, Rochester has depth, and with it the ability to match the entanglement of larger competitors. People who look like immigrants but were born in the U.S. Baseball, it could be argued, had its heyday in the 1950's and 1960's. The city of Rochester peaked in population at about 332,000 in 1950. Baseball, as it stands today, is not a flashy sport. Rochester is known much more for intelligence, hard work, and grit than glitz and glamour. 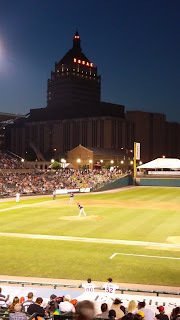 Baseball has a tendency to glorify its past, much in the same way that is seen in Rochester. Interestingly, the glory days were not always so glorious. As an example, when Roger Maris broke Babe Ruth's single-season home run record, Yankee Stadium was more than half empty. Similarly, it's hard to imagine that Rochester's history was as utopian as remembered. Baseball has been accused of being slow to adopt 21st century technologic advances. Rochester's risk aversion can be viewed as a similar handicap, leaving Rochesterians with amenities that don't quite match the quality of the residents. Baseball, largely due to regional television contracts, has moved from a sport of national prominence to a sport of regional prominence. Rochester, while not a household name across the country, undoubtedly remains a critical presence in Upstate New York. Baseball has lost ground to football, an immensely entertaining yet rather brutal sport, one that may not stand the test of time. Rochester has lost residents to the sunnier and apparently trendier Southwest. Yet this same region may have difficulty reconciling population growth with water scarcity. For all the discussions about baseball's decline, many facts point to a baseball that is stronger than ever. Ratings on local television broadcasts are extremely strong, revenues are at all-time highs, and paid attendance in 2015 was the seventh-highest ever. And as much as certain residents want to talk of Rochester's decline, the metro area's population is larger than it has ever been, the millennial growth rate is among the highest in the country, and downtown's population is booming. Baseball was invented in Upstate New York (Cooperstown). Apparently, this story is not actually true, but as the current election cycle shows, the truth is unimportant. Many of the baseball scenes of one of the best baseball movies of all time, The Natural, were filmed in Buffalo's old War Memorial Stadium. Traditionally, baseball bats have been made from ash trees (now seriously threatened by the emerald ash borer). Where are these ash trees located? Upstate New York, of course. Rawlings obtains its ash wood from the Adirondack region. Louisville Slugger bats have largely originated from 6,500 acres of timberland in northern Pennsylvania and across the border in New York State. 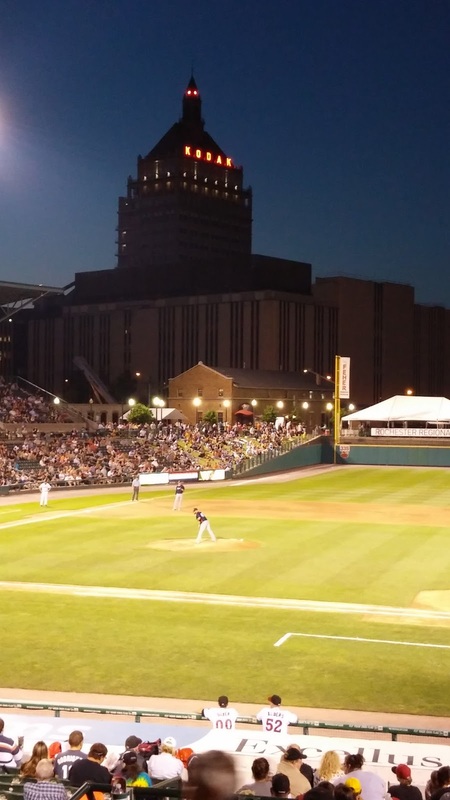 Alumni of the Rochester Red Wings include Bob Gibson, Eddie Murray, Stan Musial, Cal Ripken, Jr., Frank Robinson (manager), and Earl Weaver (manager). The upcoming Major League Baseball postseason looks to feature many teams genuinely longing for a World Series. The Chicago Cubs haven't won since 1908, and the Cleveland Indians last won in 1948. The Texas Rangers and the Washington Nationals, both somewhat younger franchises, have never won. The Baltimore Orioles last won in 1983. At the time, the Orioles were managed by Rochester Red Wings alum and Rochester resident Joe Altobelli. Rochesterians, both historically and currently, have embraced change. This endearing characteristic is representative of our small town's worldliness. Yet listening to certain Rochesterians discuss urban crime often raises the question of whether these discussants have ever stepped foot outside the Rochester metro area. Run Index (40% weighting) - included factors such as number of races, number of running clubs, number of running stores, etc. Parks Index (20% weighting) - included factors such as parks per 10,000 residents, walkability, etc. Rochester is a paradoxical blend of unestablished and established. 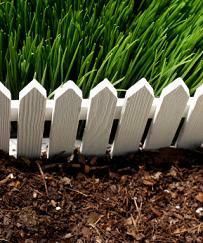 In other words, while opportunities for rebuilding and reshaping are numerous, a strong and proven foundation exists. A recurring theme on this blog is the statistically unfair comparison of Rochester to other cities across the country. While Rochester comprises about 19 percent of its metropolitan statistical area (MSA), it can occasionally be compared to cities that comprise 40 percent (Raleigh), 42 percent (New York City), 49 percent (Memphis), or 60 percent (Albuquerque) of their respective MSA's. As such, studies that depict Rochester as the most horrible city in America are not always telling a complete story. Before concluding how terrible, closed-minded, and intolerant we Rochesterians are, the data warrants a second look. If the nine suburbs that make up the eight bordering school districts were part of the city, the city of Rochester would then comprise about 49 percent of its MSA (i.e. the same as Memphis.) In such a case, what are now strict economic borders would turn into mere neighborhoods within one city. The aforementioned study's conclusion would then read: Rochester has some very wealthy neighborhoods and some very poor neighborhoods. Having lived in both Manhattan and the Bronx, I am confident that this circumstance is not unique. The essence of Rochester can be captured with the catchphrase "big city amenities without big city hassles." An outsider might wonder what sets Rochester apart from similarly sized regions which may lay claim to the same slogan. As outlined many times, Rochester's artistic, musical, and educational offerings are not just present but often world-class. Furthermore, when these offerings are viewed on a per-capita basis, Rochester always seems to surface near the top. Yet Rochester's big city amenities move beyond these tangible elements into the realm of something more nebulous...mindset. Many are attracted to America's large cities not just for employment, cultural merits, and sporting events, but rather a general outlook that is current and perhaps ahead of its time. What places Rochester in a select group is that despite not being a huge city, it frequently displays the mindset usually reserved for larger metros. I'm slightly too old, chubby, and gray-haired to fully comprehend the definition of hipster. Furthermore, living in suburban tract housing automatically disqualifies me from having a proper opinion on the matter. That said, I can drink third wave coffee, listen to indie music, and throw back microbrews with the best of them. Fortunately, Rochester offers this scene in abundance. In fact, the hipster scene in Rochester is one of the most vibrant in the country, at least by one measure. 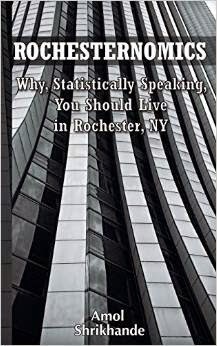 Rochester is the largest metropolitan statistical area in the country without at least one NFL, NBA, MLB, NHL, NCAA Division I men's basketball, or NCAA Division I football team. While smaller metro areas such as Omaha, Syracuse, Des Moines, Spokane, Tulsa, Wichita, and Boise can host NCAA men's basketball tournament games in March, Rochester apparently has no hope. Despite being a remarkably musically-oriented bunch, Rochesterians routinely travel to Buffalo for big-name concerts such as Coldplay, Justin Timberlake, Rihanna, Bruno Mars, etc. 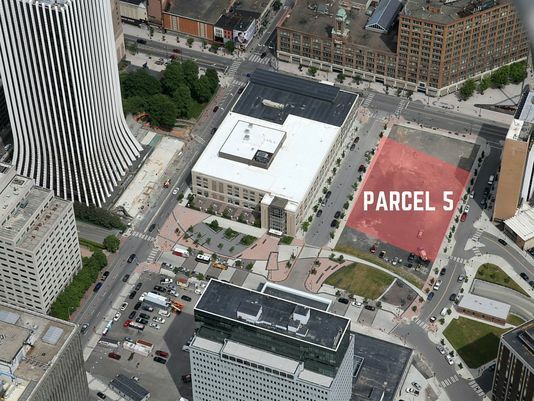 Rochester's arena has a reasonable group of tenants, among which one has a deep-pocketed owner. Without knowing all (or even any) of the details, the following would seem to be a reasonable conclusion: given all the potential options for wasting our tax dollars, wasting them on a new arena with increased seating capacity is a necessary upgrade. In typical Rochester fashion, discussion of the local music scene sometimes turns into a lament about defunct music venues and/or how Rochester is not Nashville or Austin. Also in typical Rochester fashion, the region's actual musical resume far exceeds the perception that exists both within and outside Western New York. The inspiration for this site was based in the huge discrepancy between the suboptimal perception of Rochester outside the region and the enriching life that graces (many) Rochesterians. Further motivation came from Rochester's self-deprecating nature which at times comes dangerously close to self-loathing. While self-deprecation can be endearing, self-loathing can actually be self-fulfilling and ultimately jeopardize the region's future. In The Big Short, author Michael Lewis tells the story of a very small number of astute investors which realized that our economy had been falsely inflated by subprime mortgages, mortgage-backed securities, and the massive amount of cash flow that occurred by the mere movement of these questionable loans. While the vast majority of the country continued to jump on the housing bandwagon, these astute investors managed to steer clear of what would turn out to be an historic housing collapse. Perhaps even more impressive was the manner in which these individuals devised an ingenious way to bet against the housing market, thereby capitalizing on what in retrospect was an inevitable economic crisis. What, if anything, does this tale have to do with Rochester, aside from the fact that slow and steady Rochester was relatively insulated from the housing bubble? For the past several decades, Rochesterians have been told that the Flower City's time is up. Rochester, Upstate New York, and the entire Rust Belt have seen their heyday. Life is infinitely better in North Carolina, Florida, and Texas. Continued population loss, economic decline, and urban blight are inevitable. Yet through the mass hysteria, a small group of people has quietly done its homework. This group of developers, artists, and entrepreneurs believes that Rochester's urban density, intellect, creativity, fresh water, and agriculture can provide immense returns in the future. Clearly, these visionaries have taken a significant gamble by betting against the grain. With some persistence, they might be handsomely rewarded. This rant is not productive, but it is therapeutic. Rochester's problem areas are representative of the region. Other regions have magically solved problems of undereducation, poverty, addiction, and crime. The city of Rochester represents 19% of the metro area's population. If we can agree that perhaps half of the city's population is living a reasonable life, the region's issues are concentrated in less than 10% of the metro area. At last check, cities that share Rochester's history seem to share some of Rochester's quandaries. As examples, Baltimore, New Haven, Hartford, St. Louis, Detroit, Cleveland, and Buffalo are not exactly known for their phenomenal urban school districts. Nor are these cities crime-free utopias. Chicago: The Magnificent Mile is cool. Leading the nation with 468 murders in 2015 is not as cool. Seattle: The home of Amazon is also home to the third most homeless residents of any city in the country. San Francisco: This model metro area leads the U.S. in most car thefts per capita. Boston: The mecca of higher education is also a national leader in hate crimes. The Xerox Rochester International Jazz Festival holds its own against the Vancouver International Jazz Festival. Rochester's rose garden in Maplewood Park (designed by none other than Frederick Law Olmsted) is comparable to Vancouver's rose garden in Stanley Park. Vancouver has a vibrant public market. So does Rochester. Vancouver boasts a scenic pedestrian/biking trail in Stanley Park. While the Erie Canalway Trail and the Genesee Riverway Trail may not quite compare, they are surprisingly serious competitors. Vancouver has a Polar Bear Swim, not to be outdone by the Rochester Polar Plunge. While Vancouver's urban density is hard to match, Rochester is no slouch. Vancouver prides itself on limiting urban highways. Rochester prides itself on embracing and then eliminating urban highways. Vancouver enjoys its beer, as does Rochester. Vancouver has an extremely vibrant port, as does...okay, maybe not. My preliminary research suggests that Rochester has more restaurants than Enid. The story has been told many times: Upstate New York has oppressive taxes, population stagnation, and job losses. We should not be asking ourselves if, but rather when, we plan to leave New York. Every other state in the country is a utopia of minimal taxes, population explosion, and surplus jobs. In an effort to educate its residents, New York spends the most per pupil per year of any state in the country. This spending translates into double the amount of top performing high schools than would be expected by population alone. (In Rochester, that is actually triple.) Locally, a town such as Brighton can provide a top 500 high school with housing prices that are below the national Zillow Home Value Index. In other words, top-tier education is theoretically available to many. The focus on education may explain why Upstate New York comprises 4 of the 20 metro areas with the most patents per million residents from 2007-2011. In an effort to provide health care to its residents, Medicaid spending in New York dwarfs that of all other states aside from California. In an effort to preserve a coveted long-term asset, namely fresh water, New York State has foregone short-term gains by choosing not to embrace natural gas drilling. Close to home, Rochester's second largest private sector employer, Wegmans, has proven for 100 years that a company can invest in its employees, invest in its community, please its customers, make money, and grow. All of the above is dampened by one key missing link: robust job growth. Where exactly have the jobs gone? Certain local products have run their life cycle, prompting downsizing of their associated companies (e.g. film and Kodak, copiers and Xerox.) But another factor cannot be downplayed - other states. These other states have been able to limit their investment in education, health care, and the environment, thus maintaining low taxes which are quite attractive to business. Even better, these other states are able to lure (i.e. steal) ideas and talent from states which have opted to invest in education, health care, and the environment. In the absence of these other states, New York would sport its above resume and exhibit better job growth. Which warrants the question: is New York really so bad? As reported by the Democrat & Chronicle, Esquire recently released its list of the 18 Best Bars in America. The list was constructed by well-known author David Wondrich, whose 2007 book Imbibe! is a colorful history of the American cocktail. In the magazine's words, the 18 selected locations are part of "a highly select list of exceptional watering holes culled from more than a decade's worth of cross-country investigations, hangovers, and aspirin." Two Rochester locations, namely Good Luck and Swan Market, made the list. Western New York's presence was further fortified by Founding Fathers Pub in Buffalo as well as the mention of Genesee Cream Ale in a beer cocktail served by Occidental in Denver. It is remarkable that our bars/restaurants are being recognized among places in New York City, Denver, San Diego, Boston, Portland (OR), New Orleans, and Washington D.C.
Good Luck is eight years old and is credited with bringing the craft cocktail to Rochester. We are fortunate to have a renewed energy that is introducing us to the latest trends and taking them to the highest level. Swan Market is over 80 years old. The intersection of new and old in Rochester is what gives the city a depth that is harder to replicate in other parts of the country. While you started out as a pivotal member of the team, you're currently crushing our chemistry. The team is full of a youthful energy that is tired of your story - it's time they tell their own story. As such, I kindly ask that you hang up your jersey. A light rail system. Key stops include the University of Utah and Medical Center, the airport, and Amtrak. A heavier commuter rail running from Ogden to Provo. A healthy dose of bike paths. Meanwhile, closer to home, Western New York's two key cities, Buffalo and Rochester, span a core distance of about 70 miles which is home to approximately 2.2 million residents. High(er) speed rail between the cities is occasionally proposed and often ridiculed. In Rochester, a city with 210,000 residents living in 37 square miles (3.5 times the density of Salt Lake City), a bike share has been deemed feasible but seems unlikely to materialize. Fortunately, our community does have a vision. This vision entails placing a few slot machines (but no table games or sportsbook) in the heart of downtown Rochester. It is predicted that if this vision comes to fruition, Rochesterians will be guaranteed the ability to watch impoverished and/or elderly residents smoke high quantities of cigarettes. I apologize for wanting access to some of the best public high schools in the country. I apologize for wanting to live in a highly educated metropolitan area. I apologize for wanting to live somewhere with food that is both good and affordable, somewhere with an obviously up-and-coming food scene. I apologize for wanting to live in an area known for its music-centricity, one that provides access to one of the best music schools in the country and one of the largest summer jazz festivals in North America. I apologize for wanting to live somewhere consistently recognized for its arts vibrancy. I apologize for living in a metro area that has between 1 and 1.3 million people. Does everyone in Raleigh, NC; Richmond, VA; New Orleans, LA; Hartford, CT; Salt Lake City, UT; and Tucson, AZ have to apologize as well? The other option is we can just stop apologizing. As mentioned previously, I have zero expertise in urban planning. As such, the following should be taken with a grain of salt. More established cities such as San Francisco, Boston, and Chicago exemplify the first model, while relatively "newer" and rapidly growing cities such as Tampa, Raleigh, and Dallas exemplify the second model. Both models are clearly attractive to different people. As Rochester rebuilds and rebrands itself in the 21st century, there is no debate that our bones are better suited for the first model. In fact, despite immense focus on population loss in the city of Rochester, the city continues to have one of the highest population densities among America's largest cities. In other words, as downtown is redone, it seems prudent to listen to the voices emphasizing pedestrians, bicycles, and public transit. These same voices may make life for the automobile somewhat unpleasant, but the outcome could be remarkably agreeable. Every so often, we are reminded about the city of Rochester's disastrous childhood poverty rate, disconcerting educational environment, and stubborn embrace of violent crime. The Rochester region has taken some less desirable elements and lumped them together in a select few areas. This phenomenon is not unique to Rochester and can be noted in essentially every metro area of the country. As mentioned many times previously, Rochester's major handicap is that it has firm geographic boundaries around the problem areas, making our performance in statistical analyses rather dismal. To make matters worse, the problem areas are found in the heart of the region, not pushed to the outskirts as seen in "poverty-free" metros. During fiscal year 2013, New York State had the highest annual per-pupil spending of any state at $19,818. In 2013, the Rochester City School District spent $20,333 per pupil, third highest in the country among the 217 districts with over 30,000 students, and higher than most suburban districts in Monroe County. In fiscal year 2014, New York State spent $54 billion on Medicaid, second only to California (though far exceeding California on a per-capita basis), and crushing more populated Texas ($32 billion). Among the 51 largest U.S. metro areas, Rochester has the fifth highest rate of volunteerism. Two of the highest performing elementary schools in the region speak against a problem with overt racism - Mendon Center Elementary School in Pittsford is 28% non-white, and French Road Elementary School in Brighton is 30% non-white. Coming from someone who votes Democrat, we have to at some point accept that those not in poverty cannot help those in poverty unless some return effort is exhibited. Maria Schneider earned her master's degree from the Eastman School of Music. She has won multiple Grammy Awards, including two this month for (a) Best Large Jazz Ensemble Album (The Thompson Fields) and (b) Best Arrangement, Instruments and Vocals for her arrangement of David Bowie's "Sue (Or in a Season of Crime)" from his album Nothing Has Changed. Dave Rivello also earned his master's degree at Eastman and is currently an assistant professor at the school. Rivello produced Grammy-nominated album Lines of Color which might have won Best Large Jazz Ensemble Album were it not for...Maria Schneider. Bob Ludwig, another Eastman alumnus, has had a remarkably successful career as a mastering engineer. 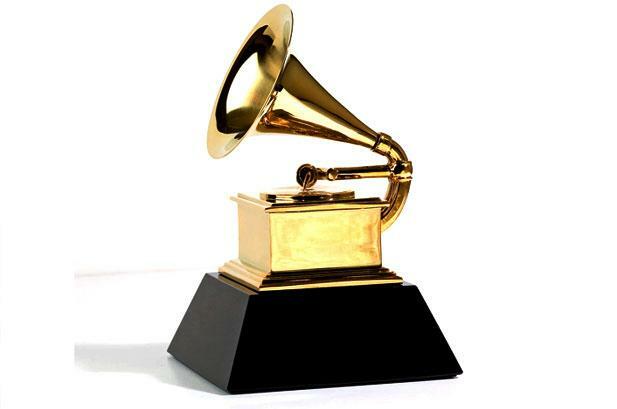 The Alabama Shakes album Sound & Color did quite well at the Grammys, winning (among others) Best Engineered Album, Non-Classical thanks to...Bob Ludwig. It's worth mentioning that these artists were just 3 of 7 Grammy-nominated musicians with Eastman ties. Jay Wright has taken Villanova University's men's basketball team to four Sweet 16 appearances, two Elite Eight appearances, and one Final Four appearance. The Wildcats are currently ranked #1 in the country. Wright's first coaching job was at...the University of Rochester. John Beilein led the University of Michigan's men's basketball team to the 2013 national championship game (unfortunately defeating Syracuse in the Final Four.) Beilein's third coaching job was at...Nazareth College. Stan Van Gundy has coached the NBA's Miami Heat, Orlando Magic (taking them to the 2009 NBA finals), and Detroit Pistons. He honed his understanding of the game while playing college basketball at...SUNY-Brockport. Jeff Van Gundy, Stan's younger brother, has coached the NBA's New York Knicks (leading them to the 1999 NBA finals) and Houston Rockets. He is currently one of the most colorful basketball analysts in the country. He played high school basketball at Brockport Central and college basketball at Nazareth College. His first coaching job was at...McQuaid Jesuit High School. Jim Boeheim has taken Syracuse University's men's basketball team to 28 NCAA tournaments, including four Final Four appearances, three national title games, and one national championship. Boeheim was born in...Lyons, NY. Tom Coughlin has been an immensely successful head football coach in both college (Boston College) and the NFL (Jacksonville Jaguars and New York Giants.) Under his watch, the Giants won two Super Bowls. Coughlin was born in Waterloo, NY, and his first head coaching job was at...RIT. As of 2013, Texas, quite comfortably, had the highest percentage of residents without health insurance (27%) of any state in the country. As of 2011, Texas accounted for 12.18% of the country's annual carbon dioxide emissions. In contrast, its nearest competitor, California, which has about 1.5 times the population of Texas, accounted for only 6.42%. New York State, despite having 6.26% of the country's population, accounted for only 2.93% of the country's carbon dioxide emissions. As of 2013, Texas had 400,000 workers earning at or below minimum wage. Its closest competitor, Pennsylvania, had 189,000 such workers. Judging by the commentary in our local newspapers, Rochester apparently has a crisis of inequality. As previously shown, Rochester is actually one of the ten least income-segregated large metro areas in the country. If you want to see true income segregation, move to San Antonio (#1 in the country for income segregation), Houston (#4), Dallas (#8), or Austin (#10). As of 2009, about 79.9% of Texas residents aged 25 and over had at least a high school degree, good enough for last in the country. Optimax, based in Wayne County, specializes in small volume, highly complex optics manufacturing. The company has participated in many NASA programs by providing lenses designed for position sensing, mapping landforms, and optical analysis. Optimax products have been a part of Mercury Messenger, various Mars Rovers, and Pluto New Horizons. A 2013 study in Nature's Scientific Reports attempted to identify the world's leading producers and consumers of knowledge in Physics. As of 2009, Rochester ranked 18th (in the world!). Adam Frank is co-founder of NPR's 13.7: Cosmos & Culture blog. He is an occasional contributor to The New York Times and has written two books, The Constant Fire: Beyond the Science vs. Religion Debate and About Time: Cosmology and Culture at the Twilight of the Big Bang. His research involves the development of advanced supercomputer tools to study the formation and death of stars. Adam Frank happens to be a professor of astrophysics at the University of Rochester. Until recently, Albert Einstein's General Theory of Relativity had one unverified prediction: the presence of gravitational waves. As it turns out, about one billion years ago, two black holes collided, causing massive ripples in space-time which were detected on Earth...a few months ago?! But how did scientists even know what these gravitational waves would look like when they found them? 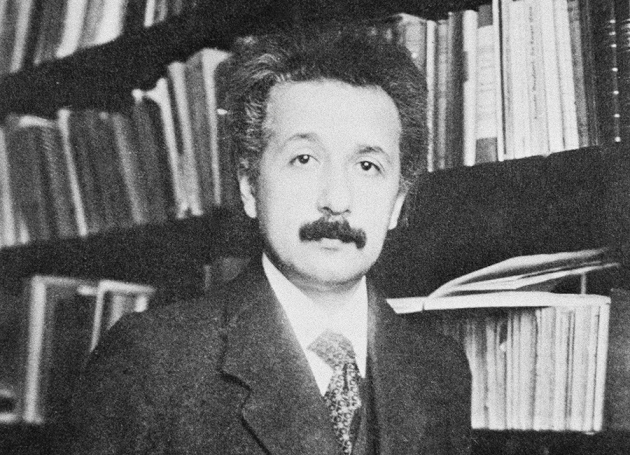 This critical knowledge was provided by earlier mathematical and simulated predictions performed by none other than the Center for Computational Relativity and Gravitation at RIT.